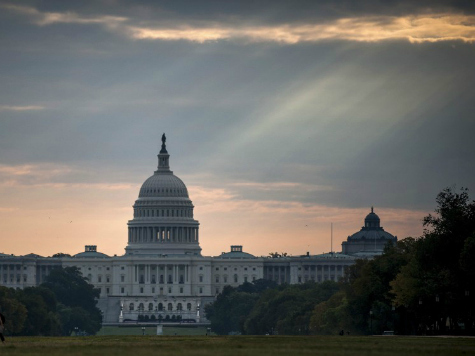 Though Gallup’s economic confidence index is negative in all 50 states, Washington, D.C., also known as the nation’s preeminent “Boomtown,” is the clear outlier, with the only positive index. In fact, it’s not even close. Eight of the 13 wealthiest counties are in the D.C. region, as the bipartisan permanent political class has accelerated the expansion of the federal government for the last decade to enrich those whose financial interests are directly tied to the growth of government. 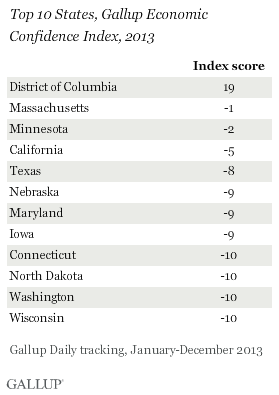 Gallup noted that D.C.’s +19 index (Massachusetts was second on the list with a -1 index.) “is the clear outlier in economic confidence” but also noted that even D.C.’s index has taken a hit since 2012, when it was +29. Gallup determined that the index actually took a dip due to cuts in government that occurred with the government shutdown and sequestration.